Match the bottle to raise the soda. This level have normal difficulty and you need to use good trick to complete this level. 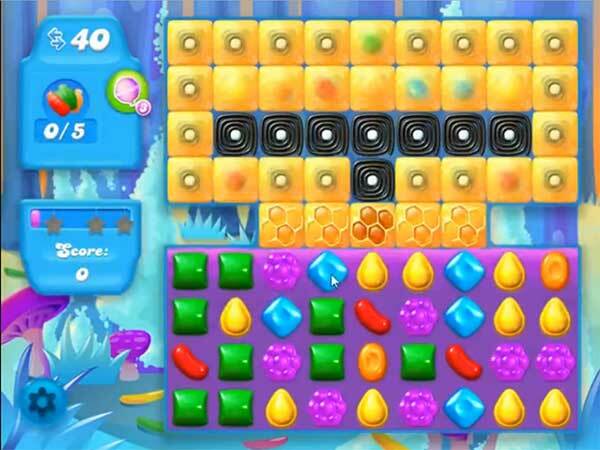 For this level you should try to play from bottom part of the board and make colorbomb or any other special candy and combine each other. This will help to break the top blockers. Try to play near to blockers and break the soda bottle as you get the chance. As board filled with soda play above them to shuffle more candies this will help to break more blockers or soda bottles.